From long and dramatic to small and subtle, the style of earrings is as limitless as the settings. Earrings come in a huge assortment of designs based on four basic styles: the hoop, the drop, the chandelier, and the button or stud. While these styles may sound quite familiar, it is helpful to note the differences and the features that make each unique. 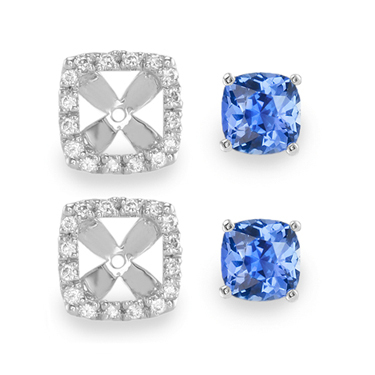 A pair of round blue sapphire bezel set earrings. Stud earrings are fairly straightforward. 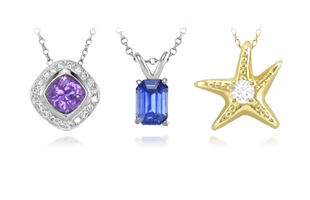 prong set gemstones have a light and delicate appearance, and bezel settings are more substantial looking. 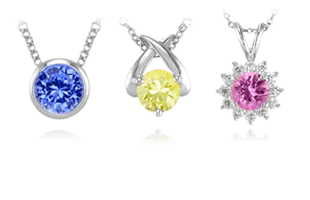 Bezel settings also accentuate a gemstone’s apparent size, which can make them especially appropriate for smaller stones. 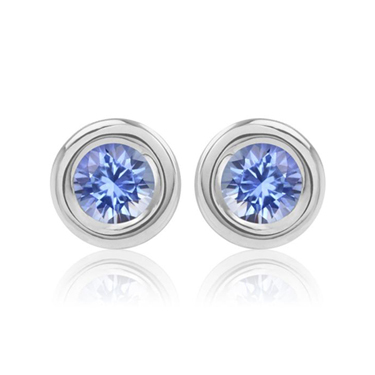 A pair of blue sapphire stud earrings with their pave diamond jackets. Jackets are add-on components that enhance stud earrings. Design options are almost limitless. 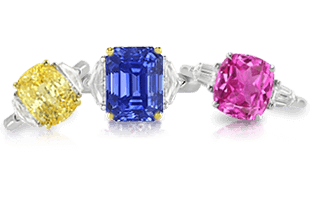 A pair of diamond or colored stone jackets can add a blaze of bright color to a set of pearl or diamond studs. 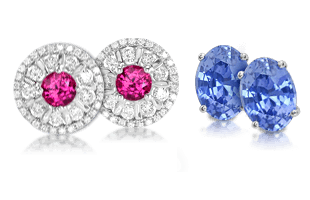 For colored gemstones studs, earring jackets with pave diamonds are a classic and very popular design. 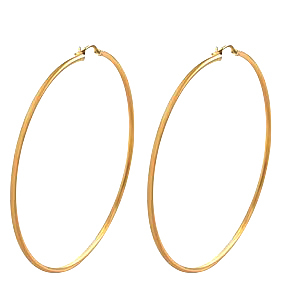 A pair of gold-tone hoop earrings. 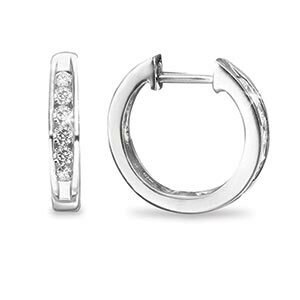 After studs, hoops are the simplest of all earring designs and they are often are set with colored stones or diamonds. Designs vary, but all need to be lightweight to be comfortable. Mothers of small children avoid large hoop earrings because tiny hands may grasp at their intriguing sparkle. A pair of diamond and platinum huggies. Huggies look like smaller versions of hoop earrings. They fit close to the earlobe and are very comfortable to wear for extended periods. Although they are mostly casual earrings, new designs augmented with gemstones provide a bit of flash. 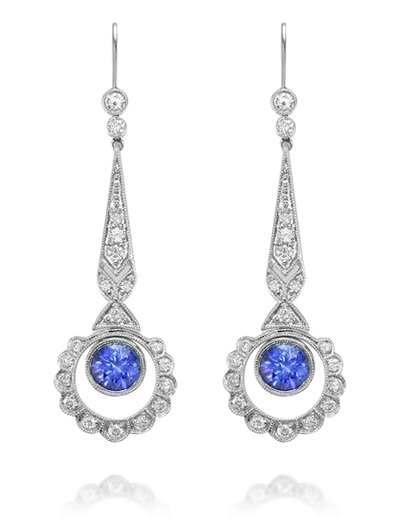 A pair of blue sapphire and diamond drop earrings. Drop earrings offer designers many options for displaying precious stones. These earrings typically have a section that hugs the ear, with one or more segments suspended from it. Drop earrings have great movement, and they can be casual or dressy depending on the occasion. 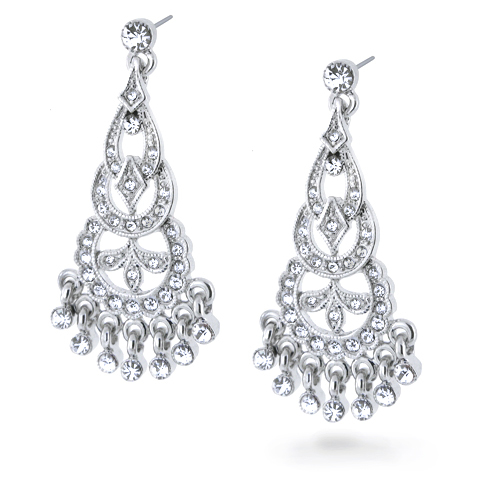 Chandelier earrings are an elaboration of the dangle or drop earring. Chandeliers are relatively long, large earrings that feature tier upon tier of small drops in a fine textured, open arrangement. 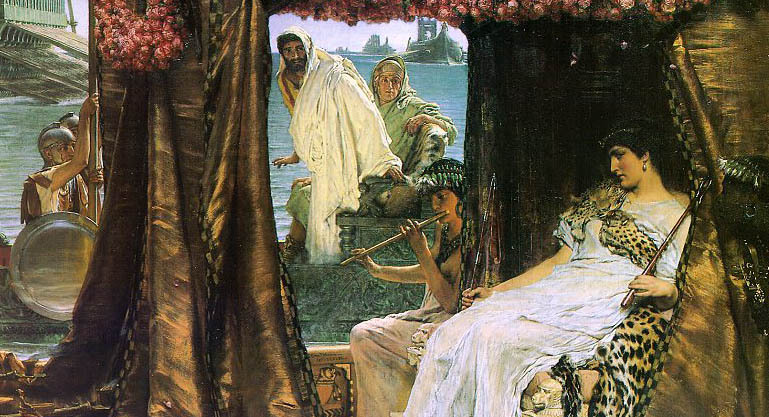 Although they have been overwhelmingly popular for the last several years, the design has been used for centuries. 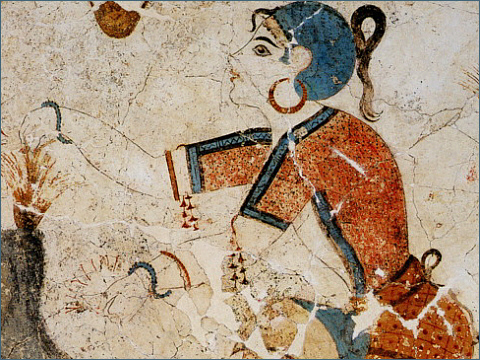 The primary limit to earring design is weight; they cannot be too heavy to wear with some degree of comfort. To many women, comfort is more important than the style of earring. Most women prefer earrings designed for pierced ears because of their relative comfort and ease of wear. Backings for pierced earrings include posts, screw backs, kidney wires, shepherds hooks or omega backs. For women who do not have their ears pierced, earrings with a clip or screw back can be worn. As these styles have existed throughout centuries, you can next discover Famous Earrings | A Selection of Earrings from History.